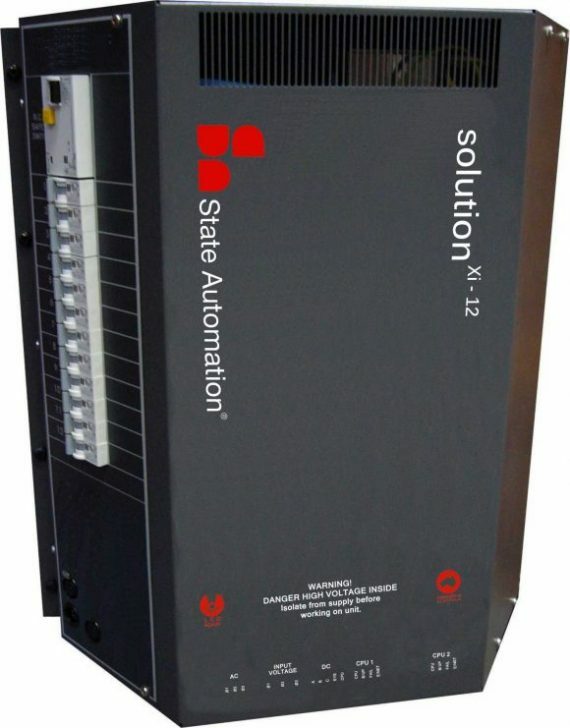 State Automation’s Solution Cool APC 12CH wallmount is the most innovative and flexible phase-controlled dimmer available today. Designed specifically for both architectural and entertainment applications, the Solution Cool comes in a range of current outputs from 5A to 20A. Special models are also available with lower channel numbers and higher output currents—up to 10kW per channel! The APC (Advanced Phase Control) dramatically increases dimmer efficiency and cuts typical power dissipation in half when compared with conventional phase control dimmers – resulting in energy saving and lower noise! The Solution12 APC dimmers are cool, quiet, and has RCD safety protection. Cost saving “green” technology: Increased efficiency gives the SolutionCool the status of “green and clean” as it dissipates up to 50% less heat than competition products. Air conditioning costs are lower and the previously wasted voltage/ power is now delivered to the load. Flexible channel usage: When used with the special “Relay Curve”, APC allows the dimmer channels to be utilised as a pure switching element. This allows non-dimmable loads such as motors and HID lamps to be powered from standard dimmer circuits without the need for additional special relay modules. Emergency lighting provision: Many installations require a separate circuit from the dimmer to power emergency exit lights. The Solution Cool has an allowance for an additional breaker for this purpose. The breaker may be factory or retro fitted to the dimmer. Standard RCD protection: Fitted as standard, the RCD offers the benefits of safer operation without taking up expensive distribution board space. Standard DMX interface: Every Solution Cool is fitted with a DMX interface. This allows the unit to be used in entertainment venues for both house lighting and stage lighting, school halls, pubs and clubs, anywhere where a mixture of dynamic lighting control is required. Engineering excellence: the dimmer incorporates special filtering techniques to allow it to run on coarse generator power and in electrically noisy environments, is protected against incorrect supply connections and is generously rated. 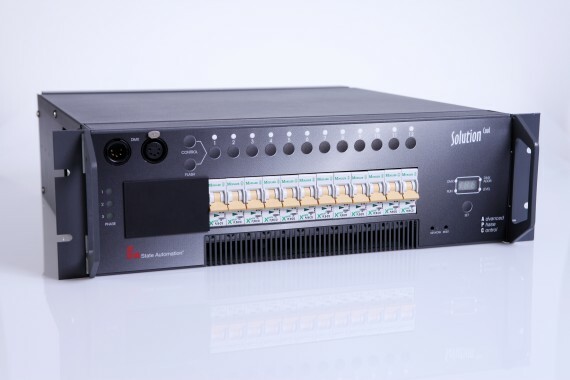 The Solution Cool APC Rackmount Dimmer is the most innovative and flexible rack mountable advanced phase-controlled dimmer available today. 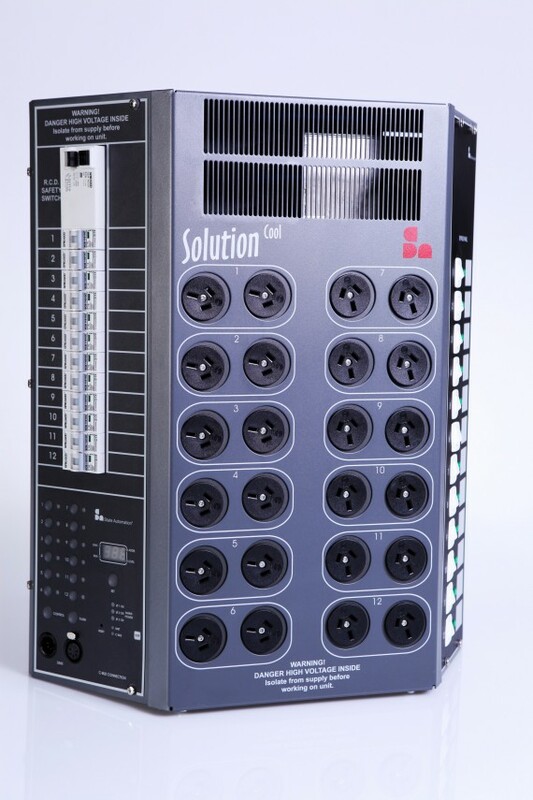 The Solution Cool is a 19″ Rack-mount 3U entertainment industry dimmer pack . Advanced Phase Control technology (APC) is not revolutionary but evolutionary: it creates a new generation of dimmers with low heat loss and also greatly increases the range of switchable loads that may be controlled by the dimmer channels.